No matter what your preference I’m sure you’ll find a recipe that you like. There’s a good mix of some with berries, some with peanut butter, some with bananas, and there’s even an oatmeal based muffin recipe. View the recipe on Joyful Healthy Eats or Pin for later. 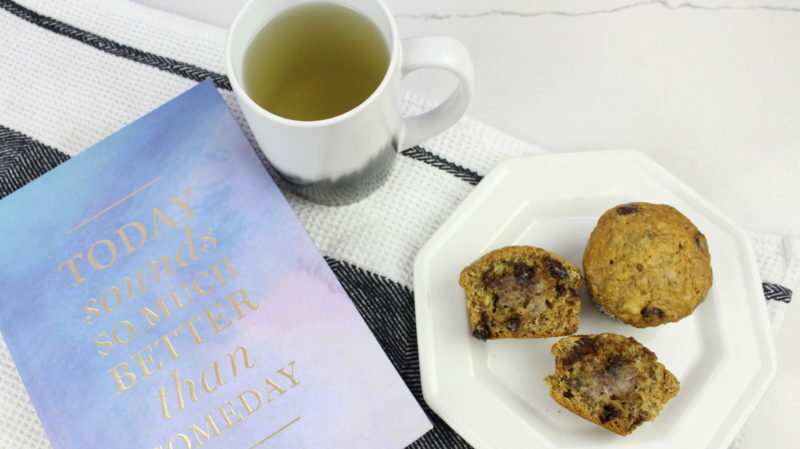 These healthy muffins are super moist and tasty filled with good for you ingredients like peanut butter, banana, greek yogurt and chia seeds. This recipe also taught me a great way to swap out sugar. For any baking recipe that calls for a cup of sugar, which is pretty much all of them, you can swap it out for 1/4 cup honey and 1/4 maple syrup. You end up with way less sugar, and at least the sugar you are using comes from natural ingredients compared to refined white sugar. View the recipe on Wholesomelicous or Pin for later. After that total flop I was still determined to find a good recipe for you guys and I did! These blueberry oatmeal muffins are moist and tasty, and best of all they do not require any presoaking! Rather than using the 1 cup of brown sugar the recipe calls for I swapped it out for a 1/4 cup each of honey and maple syrup. View the recipe on Yummiest Food or Pin for later. This recipe is super tasty with a mouthful of bursting berries in every bite. They’re very close behind the cranberry orange muffins for my favourite recipe. Again, I swapped out the sugar for 1/4 cup each of honey and maple syrup. View the recipe on For the Love of Cooking or Pin for later. I altered this recipe quite a bit to make it a bit healthier and to adjust for my preferences. With any muffin recipe, you mash the bananas first, mix in the wet ingredients to your bananas. Separately mix all of your dry ingredients, then combine your wet mix with your dry ingredients. Add chocolate chips last. I baked them at 350 for roughly 20 minutes, until the edges started turning brown. View the original recipe on The Baking ChocolaTess or Pin for later. These look so amazing! Can’t wait to have a little bit of carbs again after finishing Whole30. I’ll be back to grab a couple recipes. Thanks Nicole. Good luck with your Whole30! I totally agree! I’m trying not to eat them all before my son is here, and I really need a quick snack on the go. OMG, I’m am craving all the things I can’t have for another 3 weeks now! These all look so yummy! I have a bag of cranberries in my fridge just waiting to be used to! Well when you can eventually have them, I’m sure you’ll absolutely love the orange cranberry ones. They’re my fave! This looks delish! Seems pretty easy to do as well. Thanks for sharing this dear, gotta try this one!